This week I’ve been mostly snappy and irritable. Although I stopped smoking months ago using E cigarettes I got fed up with being dependant (and constantly charging the bloody thing) so went cold turkey. This has been infinitely easier than giving up the real thing but still irritating. I’ve given up smoking due to research that suggests smoking can increase progression in MS and even cause it so it’s a no brainer really but I do miss it. This got me thinking about loss and all the little things MS has forced me to give up, not the big things like walking normally but the little pleasures that make life sweeter. I’ve been talking about my diet recently so another obvious one is wine. Although research tends to suggest alcohol has no negative effects on MS I think it has a negative impact on my relationships. 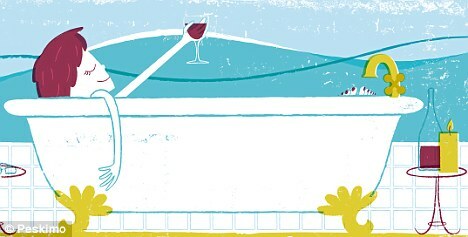 If I drink too much my MS gets worse, putting pressure on friends and family to help me to the loo or into bed (stairs become impossible) so it’s best to stay clear of wine. The thought of being out in public having drunk too much fills me with horror at all the potential disasters and humiliations that could transpire! This has ruined my social life. I’ve also stopped eating gluten, as some MSers feel this helps. I would agree that I feel dreadful if I eat gluten but lately I find myself waking up in the morning having dreamt about bread and butter! Dairy’s another one. I find myself salivating over yoghurt when my kids are having tea and begging for little nibbles of chocolate! Long, hot baths are a thing of the past as the heat affects me so much I’m unable to get out again! Sunbathing is also out as I get too hot and feel like everything has stopped working. I used to be the one who sat in the sun, now I seek the shade like my pale skinned, ginger sibling! I don’t want to get really into this subject as I find it unhealthy to dwell on the negatives and wallow in misery at everything I’ve lost through MS but I wonder what other MSers think about this? Are there any little things you don’t do any more? ← What’s worse, physical or cognitive problems? I find I miss being able to drive to see a friend last minute – I used to finish work,get in my car, make last minute plans over the phone and drive there. I loved being able to be there for friends straight away, doing things impromptu which is always fun, rather than having to plan 2 weeks in advance, especially on weekday evenings. The fatigue has killed any way of doing that. But I replace this with Skype and email so that I’m still able to be a rock and maintain my social group, if a little differently than before. hanks for your comment. It’s being spontaneous that’s difficult isn’t it!